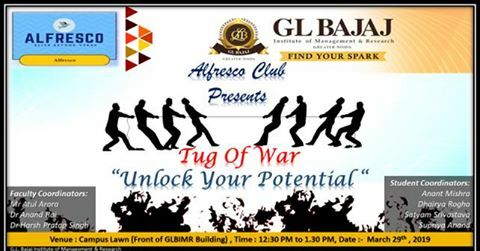 Alfresco Club of GLBIMR is organizing the “Tug Of War" (TOW) competition on Friday, March 29, 2019. “Tug Of War" will allow the participants not only to showcase their physical strength but also their mental coordination and team spirit. 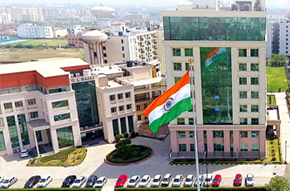 The cooperation & rhythm of team members plays an equally important role in victory, if not more, than their physical strength. It’s not enough to have power, it’s important to know how to best harness it for our collective good. To win the commotion all the students will need mental fortitude to last the storm of completion and finally win.